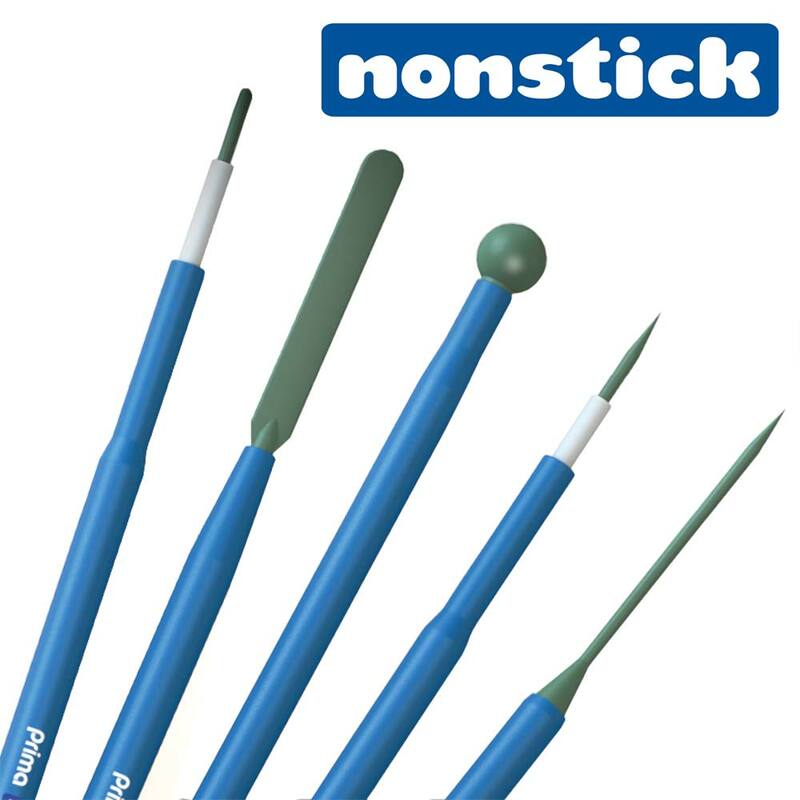 Prima non-stick electrodes – where technology matters. See details below. 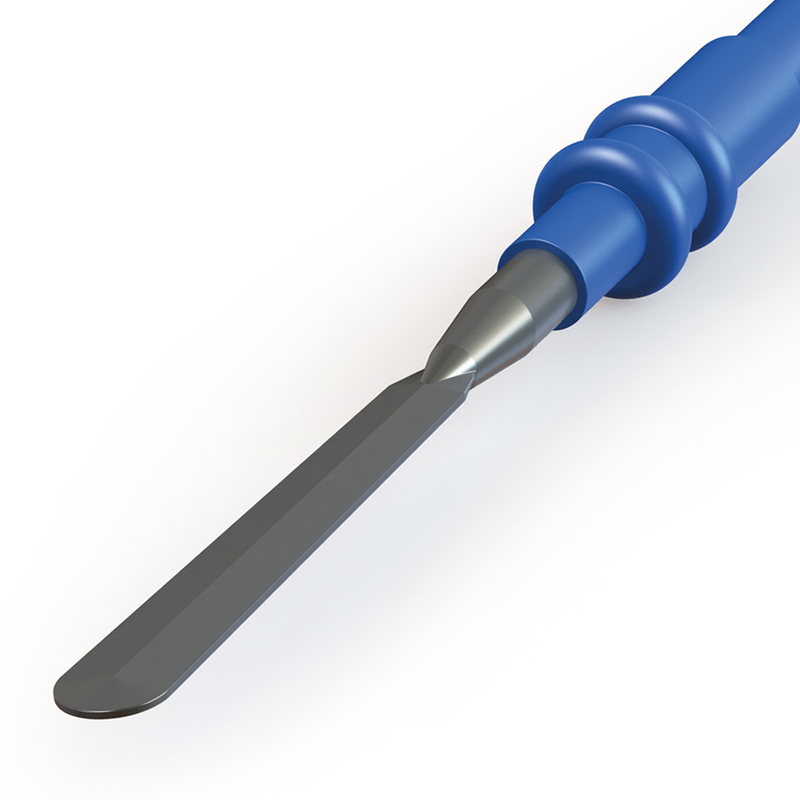 The build-up of carbonised material (eschar) on the electrosurgery tip during surgery is radically reduced with the Prima nonstick p.t.f.e. 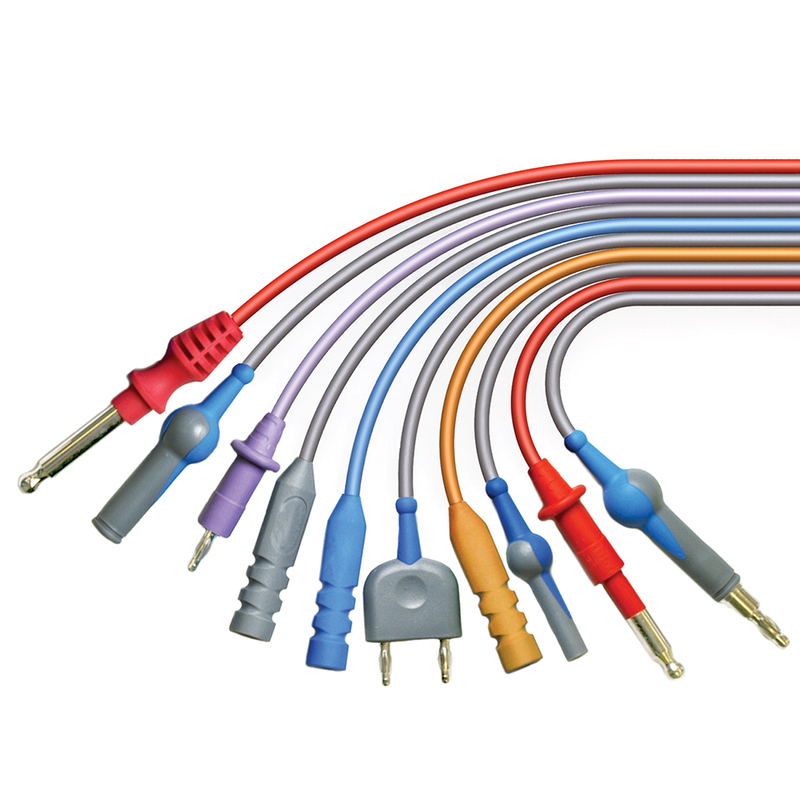 coated electrodes. 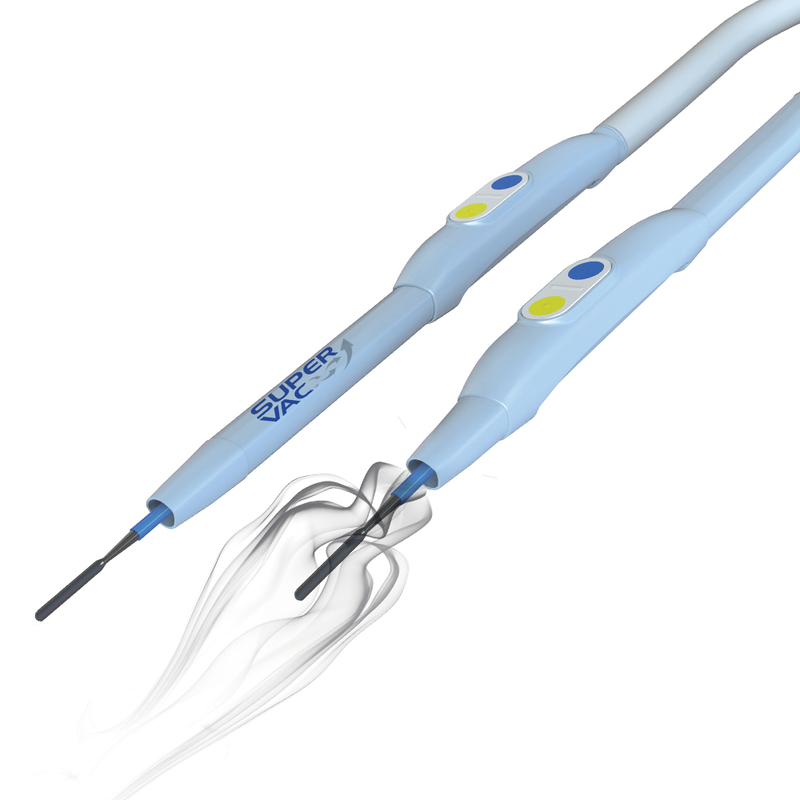 The eschar layer prohibits the electrosurgery current being passed through the electrode, necessitating higher output settings which can cause damage to the peripheral tissue. 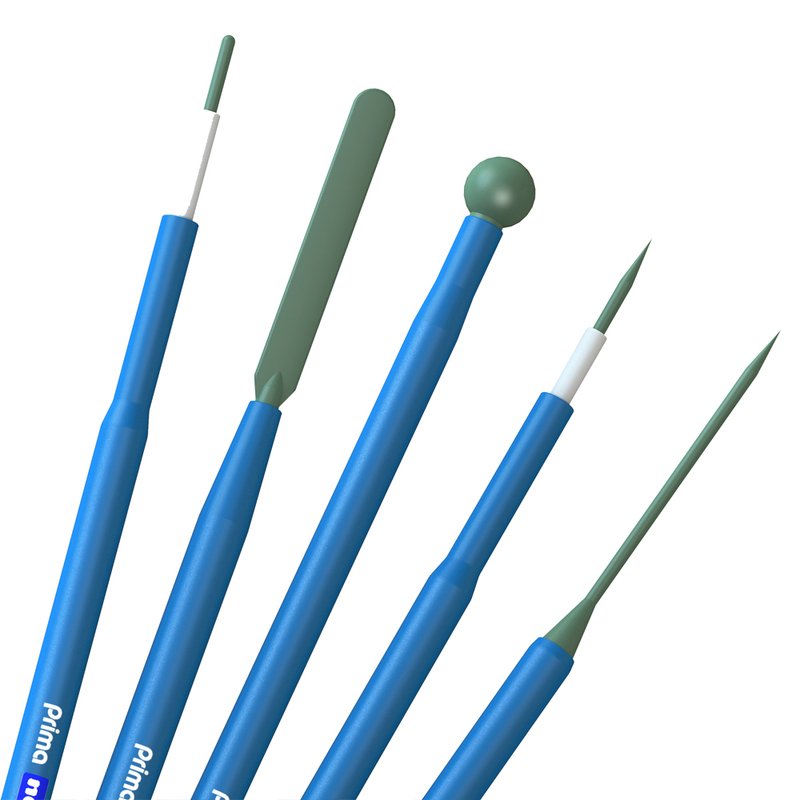 Prima nonstick electrodes are designed to focus the energy on the target tissue, making surgical time more productive. 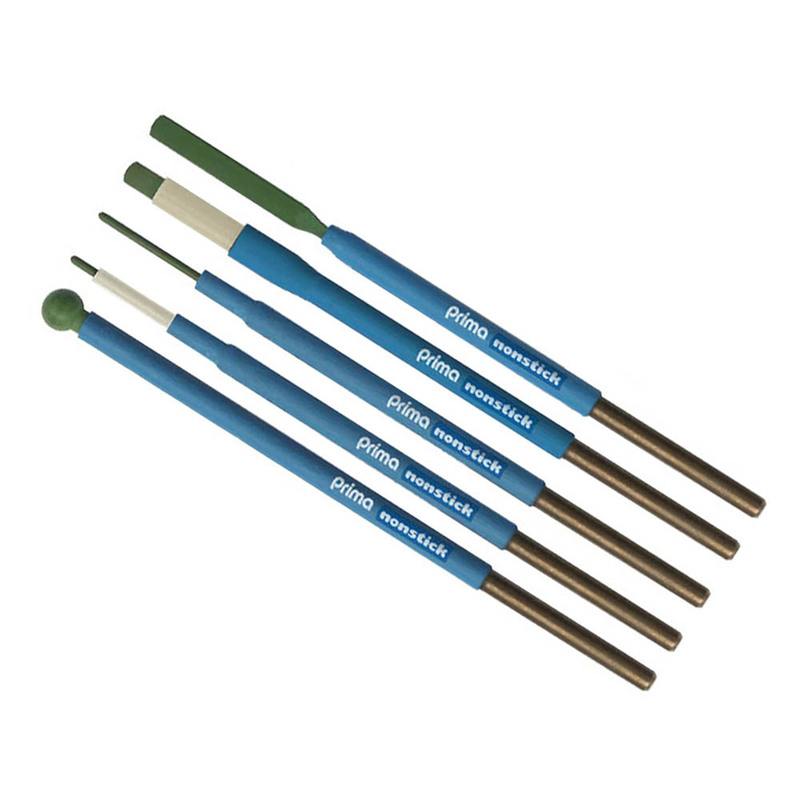 New modified high temperature resistant p.t.f.e insulation withstands temperatures up to 350° C.
Shielded tip electrodes offer a greater level of safety when working in cavities and areas of restricted vision. 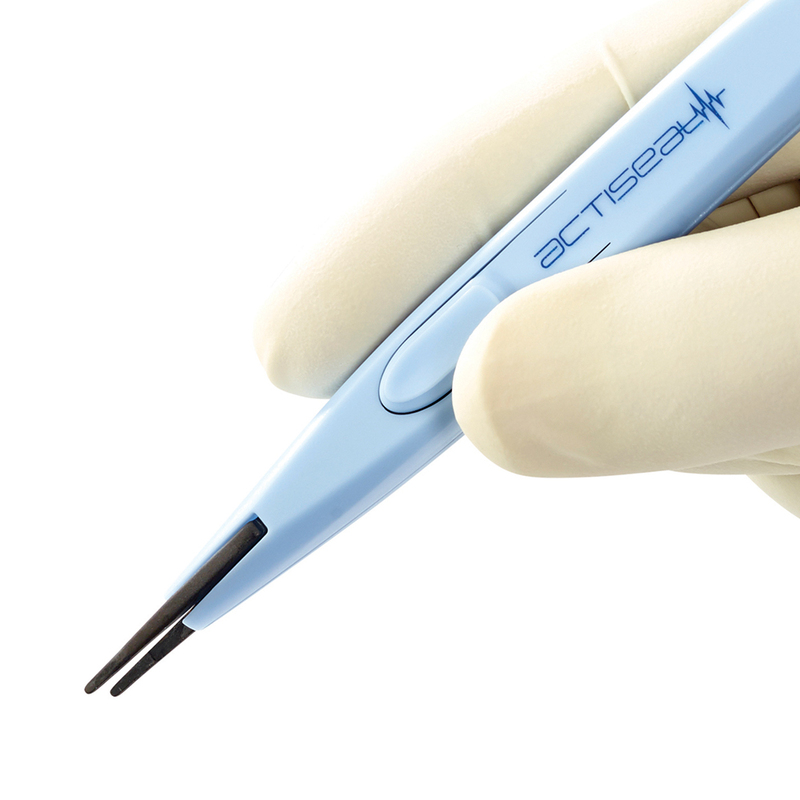 With 4-5mm of the tip active preventing unwanted contact with unintended tissue.